Rubbermaid Commercial Web Foot Wet Mops, Cotton/Synthetic, Green, Medium, 5-in. Green Headband - six mop heads per case. Includes six mop heads per case. 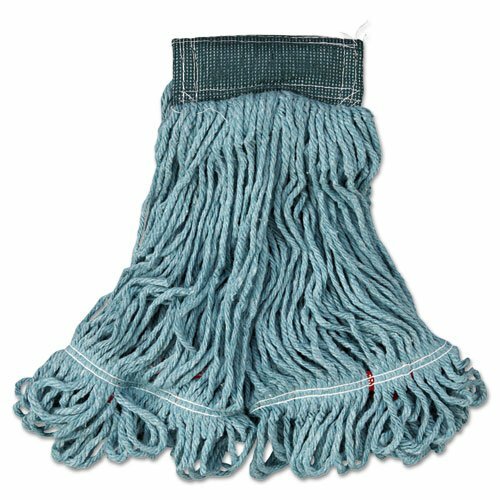 UNISAN Mop Head, Pro Loop Web/Tailband, Premium Saddleback Head, Rayon, 24-oz., White - Includes 12 mop heads per case.